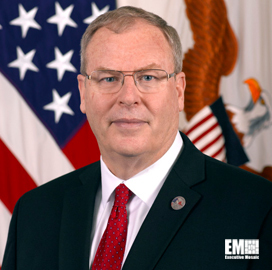 Deputy Defense Secretary Robert Work has implemented new policies for the management of the Defense Department‘s civilian and military cyberspace personnel. In a directive published Aug. 11, Work instructed the department to form a council to unify its cyber workforce and standardize baseline qualifications, responsibilities and training requirements. He said the DoD cyberspace workforce management council will comprise of representatives from the department’s offices of the chief information officer, personnel and readiness, policy, intelligence as well as from the Central Security Service, Joint Chiefs of Staff and National Security Agency. The mandate also requires that defense agency and contractor employees comply with acquisition, intelligence and communication standards before they can perform cyber-related functions. Authorized information technology users at DoD must also undergo a cybersecurity and information assurance orientation and complete an annual refresher training thereafter, Work noted.